Office cultures that promote discrimination or unequal treatment can create a hostile work environment. For victims of discrimination, this can mean ongoing and repetitive abuses. In this case, the complaint alleges that the plaintiff was a victim of a “pervasive culture of retaliation and harassment.” The lawsuit was filed by the same firm that represented other in employees in three other cases, including a sexual harassment case. Though the company has challenged the allegations, it also claims to be taking the case seriously and will initiate an internal investigation. Many discrimination cases will also include allegations of retaliation, in the event that the employee suffered adverse employment action, including demotion, lost pay, or termination of employment. In the recent age discrimination case, the plaintiff has also filed a claim for wrongful termination. According to the complaint, the 41-year-old was fired after she took time off to recover from injuries she sustained in a car accident. Managers made her stand and perform regular sales calls duties, even though she requested to take breaks as a result of her injuries. After she took her complaints to the human resources department, she needed additional hospitalization to deal with the injuries that were exacerbated by ongoing work duties. 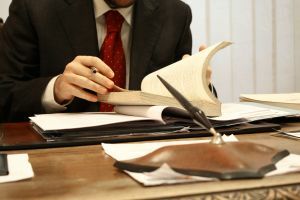 In the event of an employment law dispute, it is critical to have the facts and circumstances reviewed by an experienced attorney. Our Orange County employment law attorneys understand the complexities of every case and will work to protect the rights of our clients. We will take the time to understand your concerns, answer your legal questions, and develop an appropriate strategy to help you protect your employment, reputation, and recover a financial reward if possible. While many cases are resolved through settlement, we are also prepared to take any case to court.